The all-new 2019 RAM 1500 uses eTorque technology combined with a 3.6L V6 Pentastar engine and front-wheel drive to achieve an impressive 20 mpg city/25 mpg highway mpg. Not often seen on brawny trucks, the RAM 1500 features strong fuel efficiency throughout the model line, including best-in-class 4×4 fuel economy. 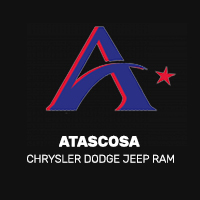 Explore its mpg estimates at Allways Atascosa Chrysler Dodge Jeep Ram to see how you can save money at San Antonio gas pumps. Strong EPA-estimates throughout the lineup and a best-in-class 4×4 driving range of 624 miles ensure your Three Rivers business can enjoy lower fuel costs. One system that’s critical to the RAM 1500 achieving such high mpg ratings is the advanced eTorque system. Models equipped with eTorque use a 48-volt belt-driven motor that’s powered by a battery instead of an alternator. At first glance, this mild hybrid system might seem more suited to hybrid and electric cars. Yet, it results in more torque, payload, towing capability, and a higher EPA estimated fuel economy for the RAM 1500. Transmission – A standard TorqueFlite eight-speed automatic transmission adjusts shift points for maximum efficiency and performance. Design – An elevated hood and redesigned roof lower the drag coefficient of the all-new 2019 RAM 1500 features. Active Air Dam – Standard in the RAM 1500 Rebel and non-air suspension models, this class-exclusive air dam lowers once the truck reaches 30 miles per hour. You can find the all-new 2019 RAM 1500 at Allways Atascosa Chrysler Dodge Jeep Ram today. We’re located just a short drive from Poteet, so stop by to see how the RAM 1500 stacks up against the Chevy Silverado 1500 and compares with the RAM 2500.